Matthew Davis, 25, who faces daily challenges due to special needs is raising money for us West Wight Sports and Community Centre (WWSCC). He was born with ataxic cerebral palsy, dyspraxia and epilepsy and has been diagnosed with autism. He lives in Newport and is a regular visitor to WWSCC, where he enjoys swimming, using the gym and socialising in the café. Inspired by Tom Daley, Matthew joined a course for disabled divers at Southampton Quays Swimming and Diving Complex. In 2017 he completed his goal, a dive from the five metre board. 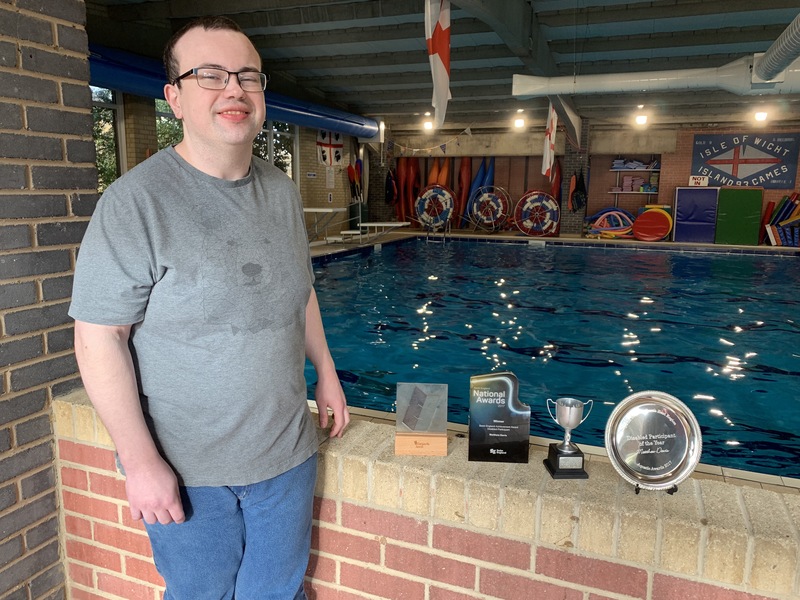 This gained Matthew the Swim England National Achievement Award for Disabled Participant in 2017, one of several awards he has won. Matthew plans to swim 50 lengths on Thursday, April 4. Matthew, 24, was born with ataxic cerebral palsy, dyspraxia and epilepsy. He has been diagnosed with autism. Inspired by Tom Daley, he applied to join a course for disabled divers at Southampton Quays Swimming and Diving Complex. In 2017 he completed his goal, a full frontal head dive from the five-metre board. 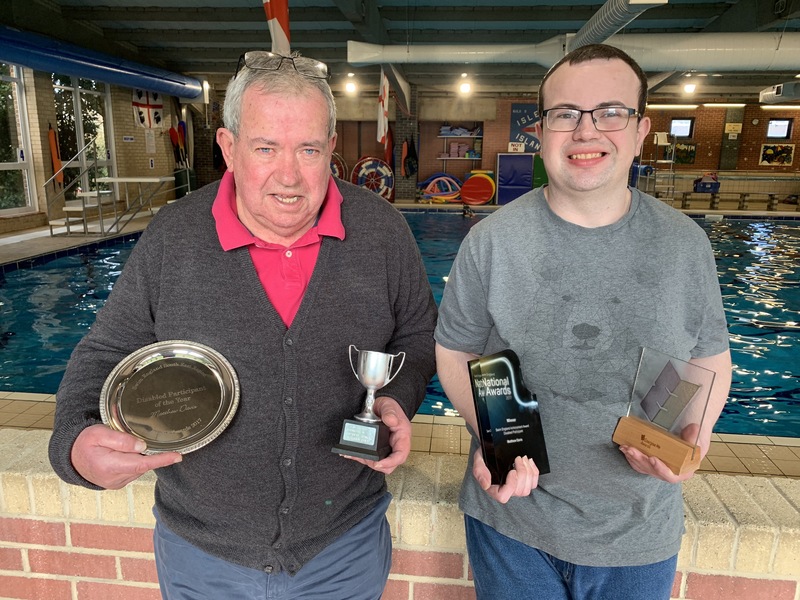 In recognition of this achievement, he won the Swim England national achievement award for Disabled Participant in 2017. He has won several other awards. He plans to swim 50 lengths on Thursday, April 4, to boost the Extend Our Gym fund at West Wight Sports and Community Centre. Well done Matthew, you did it! He managed to swim 50 lengths in just under 2 hours. Thank you to everyone who supported him!